Are you starting a new business, launching a new website, printing brochures but don’t have good enough pictures to represent your brand? I have marlin stock images (actually and a whole bunch of general fishing stock photos as well!) for you. Visit the galleries here (links below). 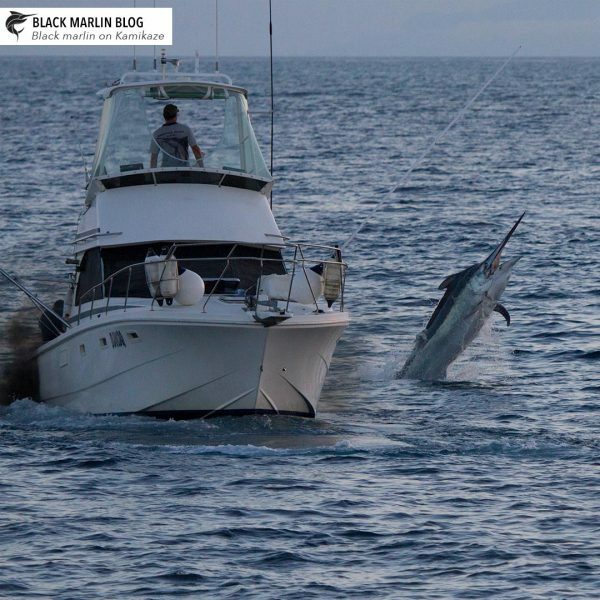 The galleries are also marlin season recaps in picture! For your viewing pleasure! If you are starting a new fishing business, or even as an experienced captain, one of the most difficult things can be to illustrate your website. Unless you have a dedicated photographer on board, getting the shots that show visitors what you do and what you catch well (I mean good photos, of course you catch well right?! ), is one of the hardest aspects of running this type of business. Where showing off in photo form is a must! If you have done the rounds, you will know that marlin stock photography is a limited commodity. So there are (unfortunately) a number of websites that use the same images. While we’re fishing, when the conditions allow it, I also take boat to boat shots. 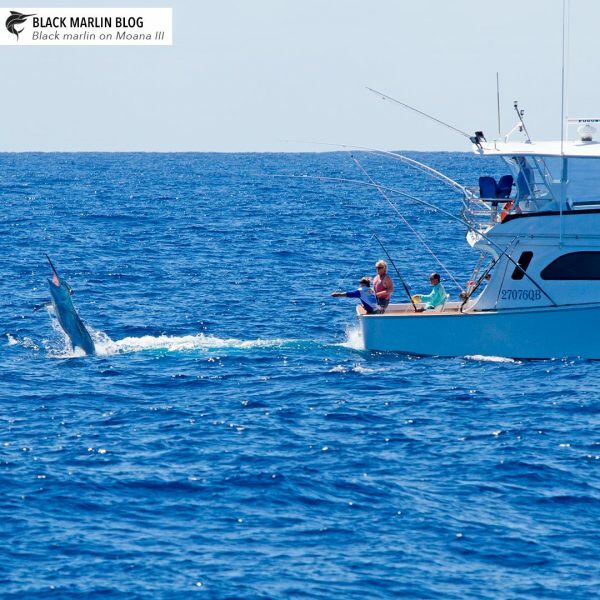 So you might even find a photo of your boat in action there if you’ve ever fished near us. Stock photography doesn’t have to be expensive. But for commercial use (and that means if you are using it to promote your business) all images are subject to a license usage agreement. More about that in the RHS column! Take a look through my online gallery. 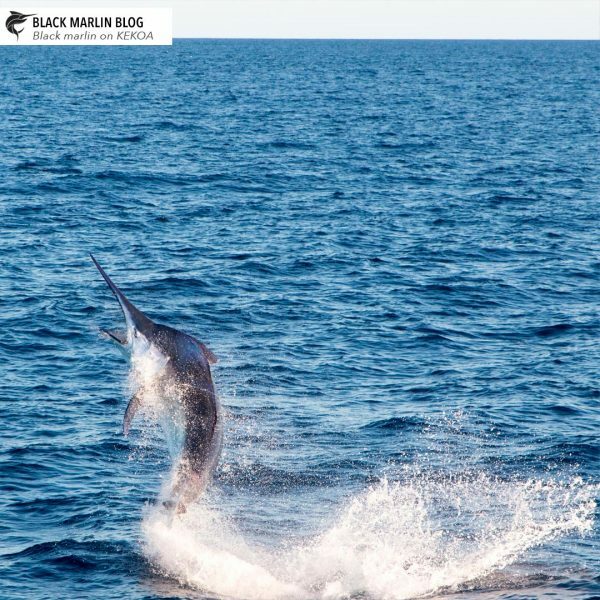 I have marlin stock images of black marlin (this is my biggest library) including both the giant black marlin as well as juvenile black marlin. I have both blue and striped marlin as well as the odd sailfish. There are also the odd pelagic and reef species. If you don’t find what you are looking for, don’t give up! Send me an email and tell me what you are interested in. I have a lot more images that will never make it to the web as there just aren’t enough hours in the day. Between $40-100 for commercial use for PRINT (full resolution) depending on how unique the shot is! Prices are shown on the images in the galleries are plus GST for Australian consumers. Online images are also instant download so you can use them right away. ALL of my images are subject to an image license use agreement. There are several key points and I’ll cover them here, but if you are unsure or curious, drop me a line and I can send you a sample of the agreement! Images are not exclusive use unless explicitly stated! That means someone else may use the same image somewhere. But I do keep an eye on where my work is used and if I see a conflict of interest, I’ll be sure to let you know. Are you a business in direct competition with KEKOA Sports Fishing? Then read this very carefully (and please feel welcome to contact me for clarification). I restrict use of my photographs by businesses in direct competition with KEKOA. The reason being of course that it is very unfair for fish raised and caught on KEKOA as a result of our team’s hard work and experience to advertise a rival business. I just don’t do that. But as I have said before, don’t count my images out entirely if this is the case for you. I do have images of fish caught not on KEKOA etc that you may be able to use. Contact me and we’ll put together a selection to chose from! Images may not be used in a way that is considered pornographic, obscene, immoral, infringing, defamatory or libelous in nature, or that would be reasonably likely to bring any person or property reflected in the image into disrepute. Duh! Images may not be re-sold or passed on for use by non-purchasers. Unless you purchase an image for exclusive use, the copyright of the image remains with me. You of course have permission to use it! Hence the Image Usage Agreement. **Please be aware that just buying the image does not give you permission to use it if any of the restrictions placed on image use apply to you. All images are subject to the Image Use Agreement. It will be sent via email specifically in your name after purchase. Any questions at any time and contact me! Please use images legitimately! Ie. buy them from a stock seller or get permission, in writing, from the photographer to use. Just because the image is of your boat…. unless you have permission to use it, it’s not yours to use! Just because you found it on Google…unless you have permission to use it, it’s not yours to use! Just because someone gave it to you…unless they were the photographer and gave you permission to use, it’s not yours to use! Now this all sounds pretty rich coming from someone who runs a website showing other peoples photos right? Yes absolutely!! But I work very hard to make sure I tow the line and if I found out I did use someone’s image without permission, I would be both very apologetic, as well as lightning fast in taking it down!! I strive to make sure appropriate permission is had and portrayed on the pictures I use (although I should mention that in the vast majority, pictures on this website are still mine). 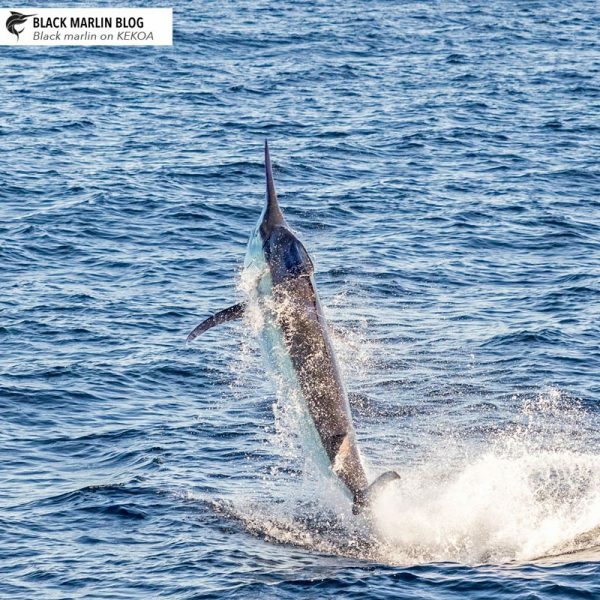 Yep, I take a LOT of marlin photos. Please be respectful and don’t take and use images without permission, ever! The social media platforms provide you a button to “share” an image which keeps the original credit and poster intact. There is no reason or excuse for downloading and re-uploading without permission to use.